When you’re a child, you start reading books for the entertainment. You want to get away from the real world and feel elation over the adventure. 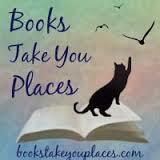 That is what this book did for me; it made me remember how fun it is to read. I for one have always wondered why every king and queen in fairytale land named their son Charming. It turns out, they didn’t. In fact, these princes all have their own unique name and story, though you’d never know it due to those pesky bards! The Hero’s Guide to Saving Your Kingdom focuses on four separate Princes Charming: Prince Frederic (He met Cinderella Ella at a ball), Prince Gustav (He saved was saved by a gal named Rapunzel), Prince Liam (He kissed a princess named Briar Rose and woke her up from a really long nap), and Prince Duncan (He and Snow White are rather perfect for one another). The princes have their own quirks and are vastly different though they find themselves thrown together in a quest that will save all of their kingdoms and teach them all what it means to become heroes of their own tale. Ella wants adventure and life with Frederic is not at all what she had imagined it would be when she met him that night at the ball. While Ella would rather travel and explore, Frederic is much happier having a quiet picnic on his grounds – on a blanket of course, one must keep clean – or quietly admiring art in the safety of his castle, this difference in personality leads Ella to go off on her own, leaving Frederic to his safe, (somewhat boring) life. Gustav often acts before thinking and therefore his mission of rescuing Rapunzel from her tower didn’t go as planned and she ended up leaving on her own, finding him wandering the forest, and rescuing him. As you can imagine, this is a rather sore subject for someone who believes himself to be quite the manly hero so he takes off to search for some adventure of his own and a way to make a name for himself, away from Rapunzel and his sixteen older brothers. Liam, though arrogant, is really a bit more like the Prince Charming from the original tales. He is handsome, brave and well, princely. Unfortunately, when Prince Liam first rescued Briar Rose, he did not anticipate that she would be spoiled, selfish and an all-together mean person. This led to a rather awkward conversation in which Liam refused to marry Briar Rose and she threw a royal fit and vowed that she would marry him while he stood in shackles if need be. He promptly (and intelligently, in my opinion) put as much distance possible between himself and the princess. Finally, Prince Duncan and Snow White are married and are quite happy for the most part. However, Duncan is rather quirky and sometimes Snow just needs some quiet time so she asks Duncan to “Go do something else” without her. He then blows Snow a kiss, leaves for a walk and becomes hopelessly lost. Lucky for him (and he will be the first to tell you just how lucky he is) he is found a few days later by Frederic and Gustav who are on their way to “rescue” Ella. Personally, I loved Duncan beyond reason. His antics and outbursts had me laughing out loud. He is definitely one of the sweetest characters I have ever had the pleasure of reading about. Both the princes and princesses are fabulous, though I hope we hear more from Rapunzel in book two and I greatly appreciated their vast differences and limitations that made them all stand out. The villains were also fantastic; I have a rather soft spot for a witch who uses a thesaurus spell so that she can insult people more creatively! The dwarves (not dwarfs) provide some snarky fun and the trolls are vastly misunderstood creatures. This book made me insanely happy. It made me remember what it was like to curl up with my first Wizard of Oz book as a child. It made me smile, giggle and laugh out loud, a feat that few books are able to accomplish. But most of all, it helped me realize that I really do have a soft spot for Middle Grade novels. Thank you, Mr. Healy, for reminding me what it feels like to fall in love with reading for the first time. As an aside: There isn’t one thing I would change about this novel. On top of having a lyrical and phenomenal story, the illustrations were a wonderful compliment to the tale. Also, I am definitely not a person who longs for books to be made into movies. In fact, I rather hate when it happens. However, this book was different. 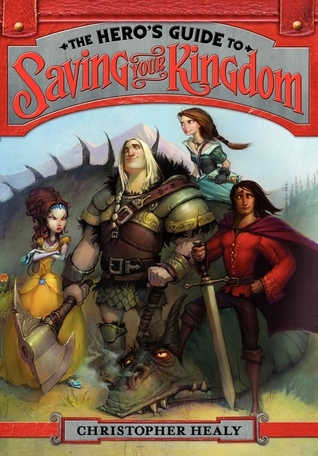 According to Christopher Healy’s website, it has been announced that 20th Century Fox Animation has optioned the film rights to The Hero’s Guide to Saving Your Kingdom. I am thrilled and can’t wait to see where this goes! For fun extras on the heroes and to find out what they’re up to next, check out Christopher Healy’s blog or twitter. This entry was posted in Middle-Grade, Reviews, Uncategorized and tagged fairy tales, fantasy, heroes, humor, middle grade, princesses, retellings. Bookmark the permalink. This sounds so fabulous. I know I read a few reviews of it before but never one that explained the characters and their quirks so well. I’ve been on a juvenile/MG kick of late and now I’m ecstatic to read this. Well, I’ve put a hold on it at my library. All 17 copies are checked out! Blast! Ah I hope you love it!! It was just exactly what I needed to read, it made me so happy and I am not a big lover of MG novels! I was actually wary to pick this one up but I am so happy that I did! I hope your hold comes in ASAP!! AH! This book was so fantastic. I love your line about how it made you remember how much fun it was to read. Because this book totally did that for me, too. It was just so clever and funny, and I, too, LOVED THE PANTS off of Duncan. So odd and hilarious, but he’s got a big heart. I can’t wait for more. More hopefully including more Rapunzel because I’m with you: she seemed really super. Great review, Alyssa! It made me so happy, I really poured my heart into this review because the book made my heart sing! I LOVED Duncan honestly when he was like “I love me some zukes” instead of zucchini I almost died! I’m so glad that you loved this one as much as I did, MG for the win!! Count me on the bandwagon! !